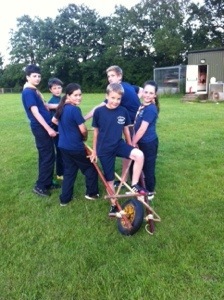 Home All Blog & News Posts Blog Chariots of fire! 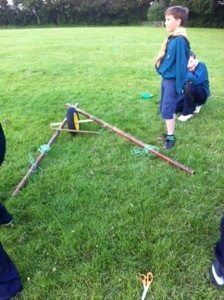 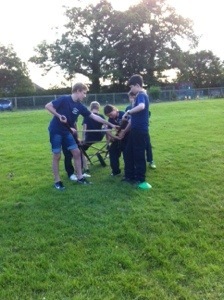 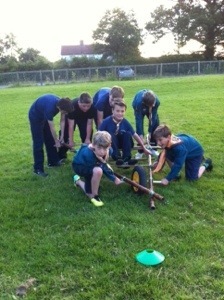 Friday evening saw the Scouts putting their newly learned lashing skills into practice. 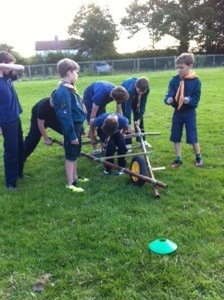 Using poles, string and one wheel they had to create a chariot that would carry a member of their patrol through a slalom course.